If you are thinking about a baptism or a thanksgiving for your son or daughter it is wonderful that you would like to do this at St Chad’s. Baptisms and thanksgivings are offered free to all families living within the parish. 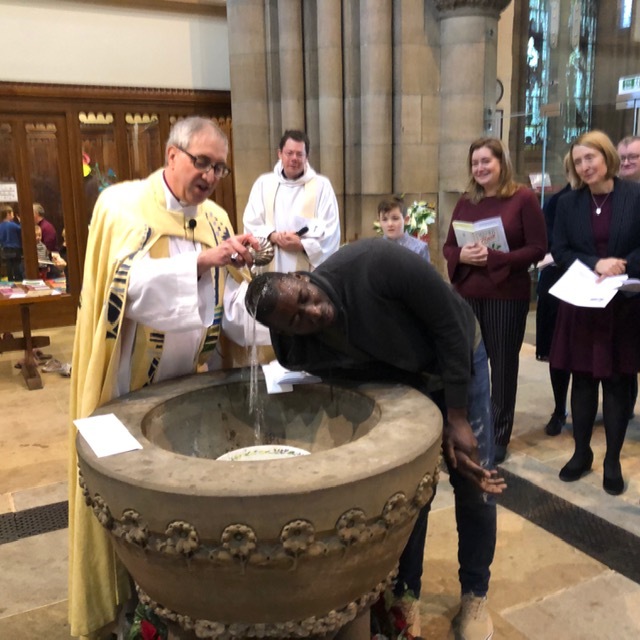 On rare occasions it may be possible for baptisms to take place at St Chad’s if there are strong pastoral reasons for doing so. We strongly encourage people to seek baptism at the parish Church in which you reside. So if you live in Far Headingley you have come to the right place! Please speak to Christine in the Parish Office in the first instance (0113 274 4322). We hold either thanksgivings or baptisms as part of our main act of worship on the fourth Sunday of each month. 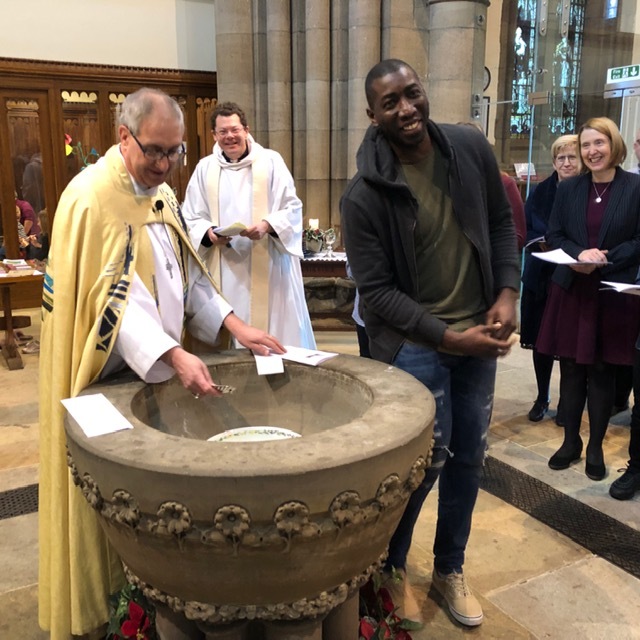 A baptism at St Chad’s is within the context of the main Sunday service. We can arrange thanksgiving services either as part of our main act of worship or at other times. 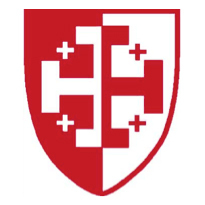 We normally proceed with a home visit by a member of the Church family who will enable you to make an informed decision as to whether baptism is specifically what you are wanting at this stage. 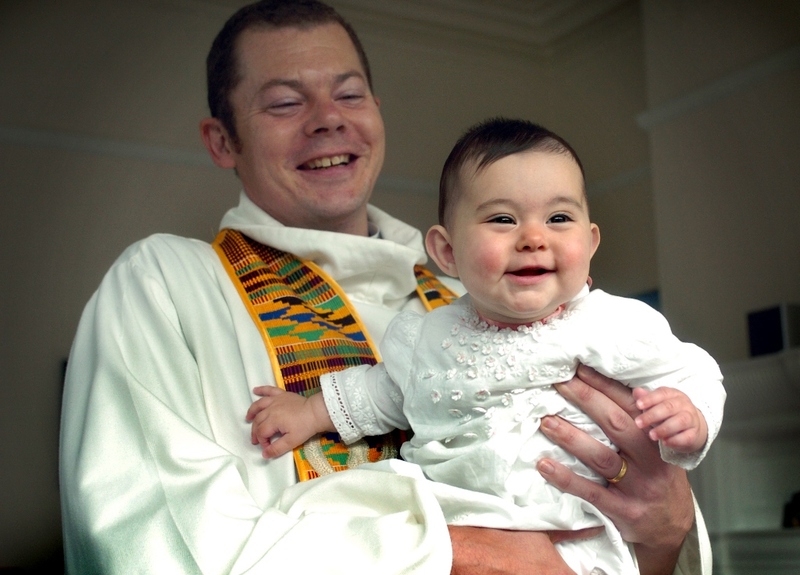 As a Church community we recognise that the baptism of a child is the start of a demanding, lifelong responsibility for both parents and Godparents. It is also a visible commitment to the ongoing life of a particular Church family. We would encourage people not to seek baptism if we are not going to see you again as a family. One indication of this is if, say, parents contact us without attending worship beforehand, or who express no desire to be part of the Church family. What does it mean to be part of the Church family? There is now only one category for faith references at the local church school: for those who are at the heart of the Church family. Attending Church once for a baptism is not synonymous with being at the heart of the Church family. Giving financially but not attending Church is also not synonymous with being at the heart of the Church family. Being at the heart of the Church family means, in real terms, attending worship at least twice a month. Being part of the Church family also means getting involved. Being part of any family means in the holistic sense a giving of ourselves. 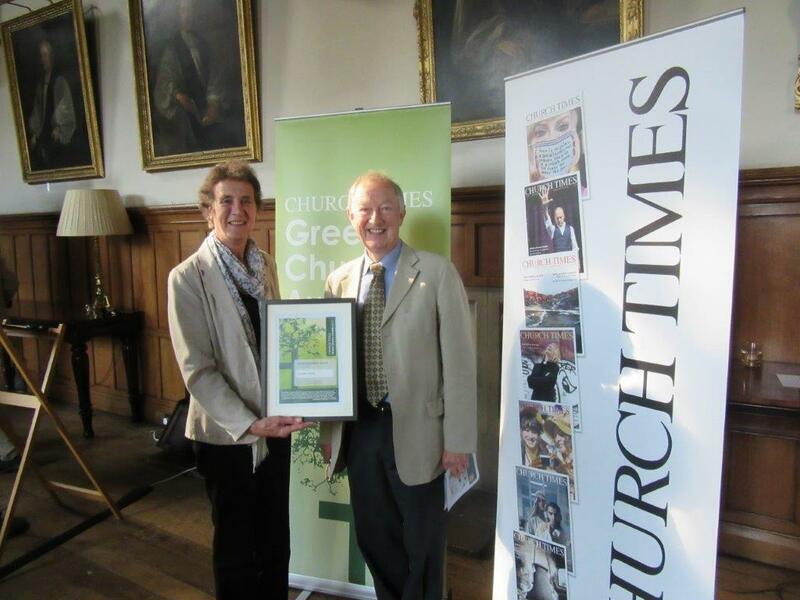 In the Church context it would mean a giving of our time and of our talents, and it includes giving financially. Hopefully by the end of the home visit you will be able to make an informed choice about whether a thanksgiving service or baptism is the right next step for you. If it is specifically baptism that you desire for your child, your local Church will do all that we can to prepare you and the Godparents for the baptism day and to support you as a family in living the Christian life. If you desire a thanksgiving service you are no less part of this Church community, yet it may be the preferred option if you feel that baptism would require adherence to certain responsibilities or indeed to a pattern of life that you may find difficult to give your full assent to. Both a Baptism and a Thanksgiving in the Church of England are rooted in a deep sense of gratitude to God for the birth and gift of a child. Each service has within it the following elements: the naming of a child by the parents or main carers, a recognition the vital role of Godparents and / or sponsors in the bringing up of children in a loving family environment and supportive wider community, and a formal blessing of the child. In baptism a person is admitted into full membership of the Christian Church. Ever since the time of the early Church baptism has been the sign and symbol of such membership. In the Gospels only adults are recorded as being baptised. In the Book of Acts it is recorded that whole households were baptised, recognising that the Christian faith of older members of the family is often passed down to succeeding generations. Baptism is one of two sacraments in the Church of England. The other sacrament is Holy Communion. Sacraments are understood to be the outward and visible signs of God at work in a person’s life in ways that we cannot see. Baptism is the sacrament which marks the start of the Christian journey, and Communion is what sustains us on the same journey. Those who wish to be baptised as adults believe that baptism symbolises the start of their relationship with God, but a relationship that has already begun. Those who desire baptism for their children similarly wish that their child’s relationship with God will develop throughout life. The context in which it is felt that this relationship with God will best develop is not in isolation from a Church community but as part of the ongoing worshipping and prayerful life of that Church community. A service of Thanksgiving for the Gift of a Child has been designed for families who want to mark the birth of a child or the gift of a child as a significant rite of passage alongside others, like birthdays and anniversaries, and to do this as part of their local Church community. The service of Thanksgiving normally takes place within the context of the main Christian act of worship with the Christian community gathered around, symbolic of the Church’s own welcome and cherishing of children. The service of Thanksgiving shares with a Baptism service the importance of welcome and hospitality by the local Christian community. Within the Thanksgiving service gifts are presented by the Church – two bibles are given: one is presented to the child, the other is a gift to the parents. The child receives a lit candle, symbolising the Christian faith shining as a light in the world. The minister taking the service prays for the child and also for the parents, and says a formal blessing over the child. A service of Thanksgiving also provides an opportunity to celebrate all the support that the wider family and friends of the family give to making the home within which a child develops a loving and secure environment. The family is reminded that they belong in faith to a wider Church family, and is encouraged to become part of this family, and to see baptism and confirmation as a potential future step.